[Sports Fans] I ain't one, but this is interesting. I am no sports fan, but this is very interesting commentary. 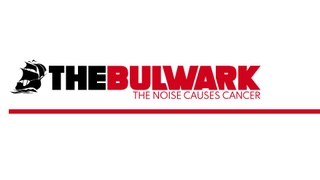 The Bulwark is a blog/reporting site started by a Never Trump conservative defector and the writing is good and I appreciate the perspective. Also, I detest how professional sports distorts and harms American society. But that’s a rant for another day. How are you this morning? Good? You doing good? Had a good start to the day? Getting ready to be productive? Enjoy spring? Get ready for the weekend? Stephen A. Smith is about to be making $8 million to $10 million a year. You may remember Stephen A. Smith from such sports entertainment shows and FACTS VERSUS VOLUME and THE BIG SHOUT. In an industry filled with talentless idiots such as Skip Bayless and Chris Berman and Pam Shriver, Stephen A. Smith stands alone atop the mountain: He is the dumbest, least talented hack in the entire “sports journalism” industrial complex. And now he’s going to make between $8 million and $10 million per year. Stephen A. Smith is not delivering value in terms of measurable monetary returns for his network. The next consumer I meet who likes Stephen A. Smith will be the first. He’s a classic boss pleaser. The guy who gets ahead not by delivering results or product, but by flattering management. He’s been this way since his days at the Philadelphia Inquirer.